2. 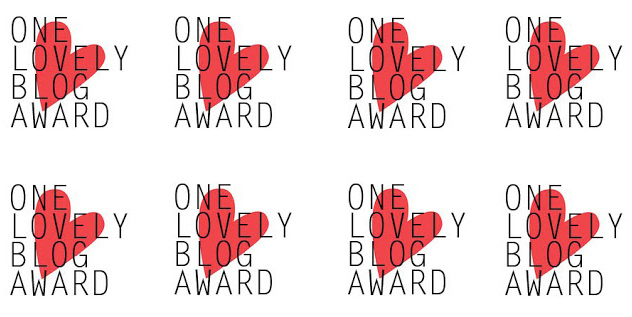 Add the ‘One Lovely Blog Award’ logo to your post. 4. Nominate 7 other bloggers who you admire and link them. 1) I have a freckle on my lip. 2) I flew a plane before I drove a car. 3) I was brought up in the countryside but I am a city girl at heart (purely for the wider range of burger restaurants/cocktail bars available in cities). 4) My dream is to own a shop where you can go in and create your perfect lipstick instantly (or just to get Bite Beauty to open one of their Lip Labs over here!). 5) I am terrified of cows. 6) I have watched every single episode of every single Real Housewives series and I'm not even embarrassed about it. 7) My mum was on the Crystal Maze (not really a fact about me but I love telling people!). It's so cool that your mum was on Crystal Maze! That show was epic and I always wanted one of those crystal balls. Thank you for the nomination! Pretty cool you flew a plane before you drove a car. I am sorry you are terrified of cows. I think they are so cute, but I grew up around them. You'll have to teach me how not to be scared haha!